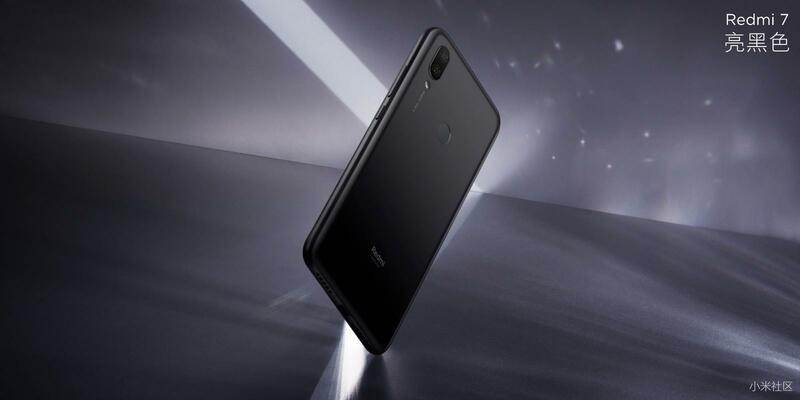 Today, the Black Shark 2 gaming phone launched in China but along that, Xiaomi’s sub-brand ‘Redmi’ launched a couple of phones in China as well. 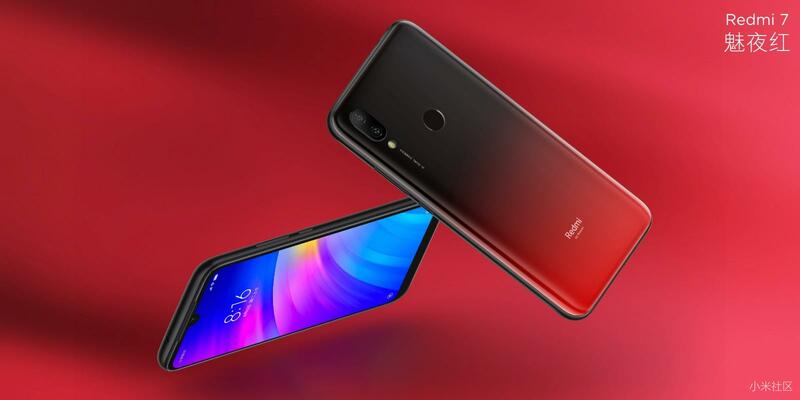 The Redmi 7 is the latest addition to the budget lineup from the company, and at a starting price of 699 Yuan or $105, you are getting some really good specs like the Snapdragon 632 processor, a good looking design, a big battery and more. It won’t be wrong to say that it is a huge upgrade from the last year’s Redmi 6. 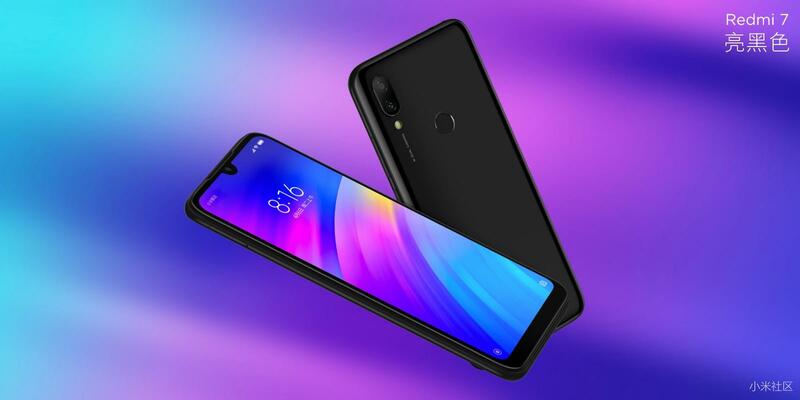 The design of the Redmi 7 is similar to the Redmi Note 7 and Note 7 Pro. So, it too has vertical dual camera setup on the rear, a rear0-facing fingerprint scanner and a display with Dot Notch on the front (Though the bottom chin is bigger). It misses the Glass Back, and the USB Type-C port as the phone has a plastic back and the old school micro USB port. The display on the front is a 6.26-inch HD+ panel with a resolution of 1520 x 720 and a pixel density of 269PPI. Despite being priced so low, the display gets the Corning Gorilla Glass 5 protection so that impressive. Due to that big bottom chin, the aspect ratio of 19:9. The display is also certified by TÜV Rheinland, and hence the blue light is not that harsh on the eyes. The processor powering the Redmi 7 is the octa-core 1.8GHz Qualcomm Snapdragon 632 which is an upgraded Snapdragon 625 and comes with Adreno 506 GPU. There is 2/3/4GB RAM and 16/32/64GB internal storage. The storage is expandable up to 512GB via micro SD card. On the rear, the phone has dual cameras. There is a primary 12MP camera with f/2.2 aperture, 1.25-micron pixel size, and PDAF, along with a secondary 2MP depth sensor. On the front, the phone gets an 8MP shooter. The primary rear camera has the same sensor as on the 2017’s Xiaomi Mi 6 which was a flagship that year from the company. Some of the camera features include Portrait Mode, Auto HDR, Front HDR, Face Recognition etc. The rear camera can shoot 1080p videos at 60fps and can recognize 27 scenes. 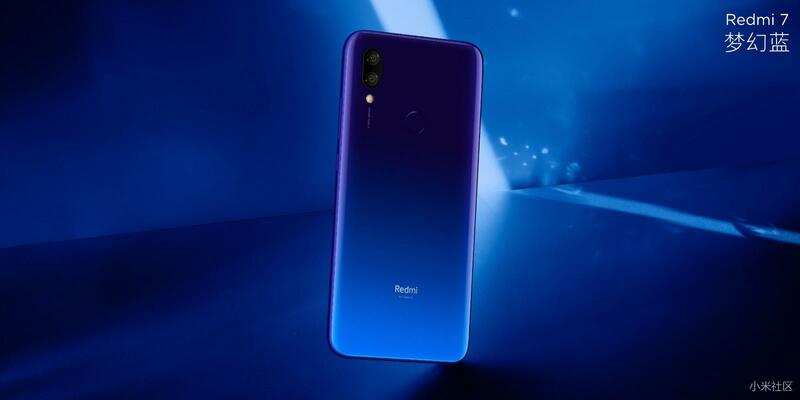 Redmi 7 comes with a 4,000mAh battery, and there is normal 10W Charging support via the micro USB port. Android 9 Pie runs out of the box with MIUI 10 on top. 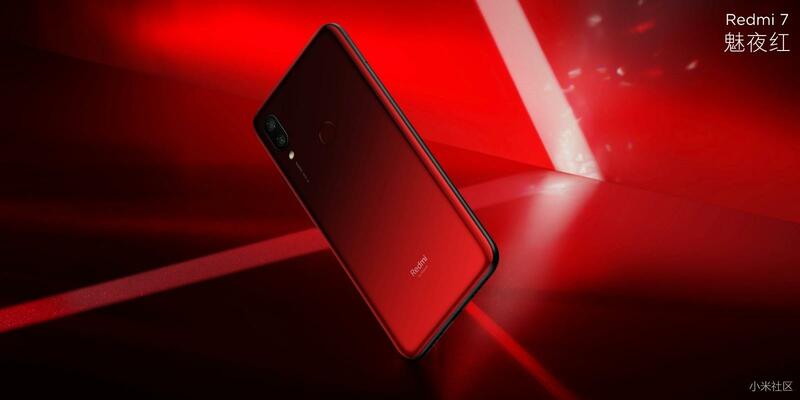 The phone comes in Black, Gradient Blue and Gradient Red color options. Finally, coming to the pricing, the 2GB + 16GB variant is priced at 699 Yuan or $105, the 3GB + 32GB variant at 799 Yuan or $120, and the 4GB + 64GB variant at 999 Yuan or $150. The phone will be up for sale in China from March 26th. As always, it will launch in markets like India as well.